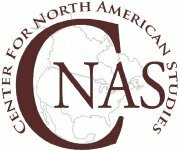 The Center for North American Studies promotes agricultural ties between the United States, Mexico, and Canada to expand trade, enhance the competitiveness of U.S. agriculture, and foster greater cooperation in resolving critical trade issues of common interest. The Texas A&M University System – Texas Agricultural Experiment Station and Texas A&M AgriLife Extension, Texas Tech University, Louisiana State University Agricultural Center, and New Mexico State University lead CNAS programs and activities. Visit the center’s site for more information.